Mashed potatoes. Oatmeal Kisel (Jelly). Recipes from Russia. 1,5 kg (3,3 lb) potatoes, washed and peeled. 300 - 350 ml (1/2 pint) milk. 25 - 30 g (1 oz) butter. Cooking Instructions: 1. Cook the potatoes in boiling salted water for 20 minutes until tender, drain well. 2. Pour into potatoes boiling milk and mush. 3 Add butter. Serve hot with fried chicken breast, or with mushroom sauce. 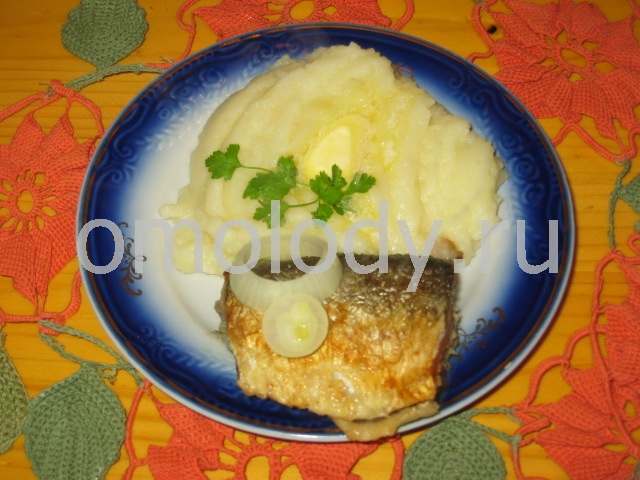 Mashed Potatoes may be served with broiled fish.